When a Rail is placed on the ground next to another one, they will automatically attach together. If they are placed on the left or right of the current direction of the Rails then the track will curve. Placing a track piece one block higher than the current Rails will make the track form into a ramp on top of that block. Switches can be placed at intersections with Redstone Dust connecting them. Rails also can be crafted to have different functions. 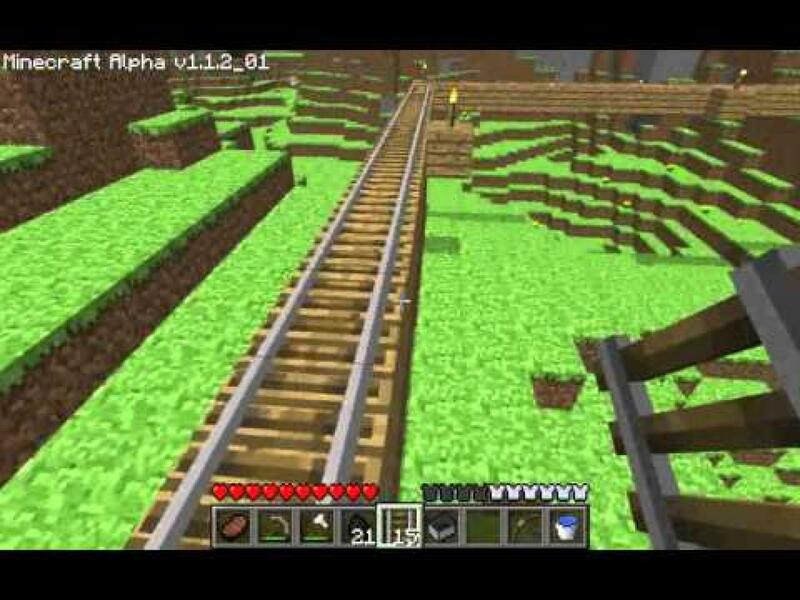 Regular rails are used as tracks for minecarts but detector rails and Powered Rails have extra functions. A Powered Rail is used to move minecarts and is powered by Redstone Torch On. detector rails are used like a Stone Pressure Plate to generate a Redstone switch for Powered Rails or Redstone Dust attached to a Redstone Torch off to turn on and activate.